An accelerator for the A2000 which plugs into the CPU Fast Slot. 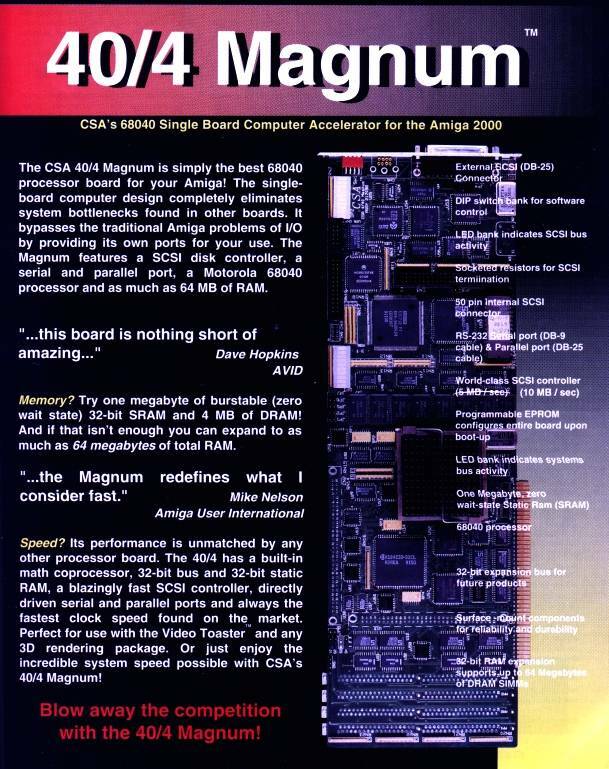 The Magnum 40/4 also includes SCSI-II onboard and provides a 50pin internal connector and a DB25 external connector, as well as an additional parallel port (25pin) and serial port (9 pin). Page contributors: Luis Garcia, RiWa & Friends.